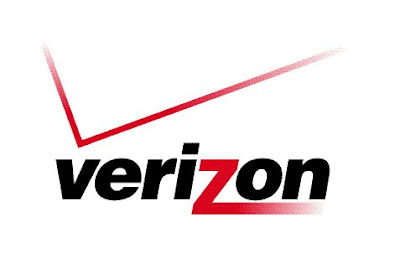 Verizon, RIM mobiles will be safe from Attackers ! Carriers, developers and phone makers are rolling out new services and features to protect mobile devices from malicious attacks and data breaches. As people increase their use of smartphones to check e-mail, do their banking and access documents, the wireless industry is addressing mobile device security. There will be a "consumerization of IT," where more employees will be using their personal mobile devices, including smartphones, laptops and tablets, for work purposes, Chris Knotts, vice president of technology and innovation at IT technology consulting company Force 3, told eWEEK. IT administrators are reconciled to the fact that mobile devices are not going away, so they need to start thinking about securing the mobile devices against mobile attacks and data breaches, said Knotts. The effort is not limited to IT administrators within the enterprises, as carriers and phone makers are deploying new features and services to bring security to the mobile devices, according to the Wall Street Journal. "Everyone is realizing that this is an uncontrolled environment. We don't want to have the same problems that we had with PCs," Edward G. Amoroso, chief security officer of AT&T, told the Wall Street Journal. Several security vendors have raised the alarm, predicting that various types of mobile threats will appear in 2011. Researchers at Panda Security said there will be new attacks on mobile devices, "but not on a massive scale," which will target Symbian- and Android-based phones. In many cases, some of the security features are already available within the smartphone operating system, according to Knotts. For example, one of the most frequently touted mobile security features for preventing data breaches, remote wipe, is available in the latest version of the Android operating system, as well as for the BlackBerry and iPhone, he said. The increasing number of consumer devices used within the enterprise will force companies to impose "common security controls" such as password policies, device locking, remote wipes and hardware encryption, said Andrew Jaquith, Perimeter e-Security's CTO. Some companies are already addressing those needs. Lookout, a mobile security provider, makes a free application for Android, BlackBerrys and Windows-based devices that allows consumers to remotely locate lost or stolen devices, back up the data and remotely erase all the information. Lookout also blocks malicious applications and other mobile threats from reaching the phones. The number uses for this application has jumped from 2 million in September to 4 million this month. The base version is available for free, but a premium version is also available for $3 a month. The company recently appeared in a Verizon Wireless commercial and has a marketing and distribution partnership with the mobile phone carrier. With this partnership, Verizon can promote apps that customers can use to protect their phones. "It is a real obvious problem we are solving," Jennifer Byrne, executive director of business development for Verizon Wireless, told Wall Street Journal. AT&T has similar deals in place, with McAfee reselling its device management software as well as with startup MobileIron. "A phone is a computer, and you would not leave your personal PC unlocked in a public space," said Knotts. Getting users to add extra security steps is "a pain" and it's "unnatural," but behavioral change is necessary for the technology to be effective, he said. Knotts said BlackBerry, as a business device, has always been security conscious, with features like built-in encryption. Research In Motion announced a free product called BlackBerry Protect in July that will let users back up their contacts and text messages, remotely locate or lock the BlackBerry, and perform a remote wipe. The software will also have a tool for IT administrators that will let them control what apps employees can download onto the phone, as well as the types of data that can be accessed, according to RIM. The Wall Street Journal article also listed Mocana, which sells security technology to chip makers like Intel to encrypt wireless data. The technology can also detect and block malicious software from infecting devices and will eventually prevent employees from accessing data over a wireless network if they leave a certain area, according to the article.